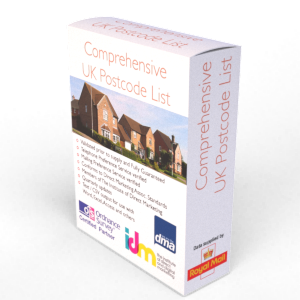 The very latest list of Convalescent Homes that can be used for direct marketing including Sales & Marketing. Prior to supply, the list of Convalescent Homes will be screened against the very latest Mailing & Telephone preference files as well as our own 'do not contact' file. This leaves you with a list of every Convalescent Home in the land! A convalescent home provides personal care to patients and has a qualified nurse on duty twenty-four hours a day to carry out nursing tasks. These homes are for people who are physically or mentally frail or people who need regular attention from a nurse. All of the records we supply will have been telephone verified to confirm the details we release to you. This ensures the information is current and that the Convalescent Home is trading. The data will be released as a CSV file by default which can be used in Word, Excel, Access and just about any other software application on the market. If you prefer a different format then please let us know when placing your order. The list of Convalescent Homes can be downloaded from our site and emailed (a link will be sent to you as soon as your payment clears, often within seconds). We've listed what we believe to be the most appropriate related business types to Convalescent Homes. If you find that your business category isn't listed then please let us know as it's likely that we hold the list you want on our database - we've over 2,700 other business types! Don't worry, if you don't have the time or can't see what you need then let our team do the work for you - for FREE. We have thousands of other business types and list sources and over 40 years experience so why not simply tell us what you're looking for?